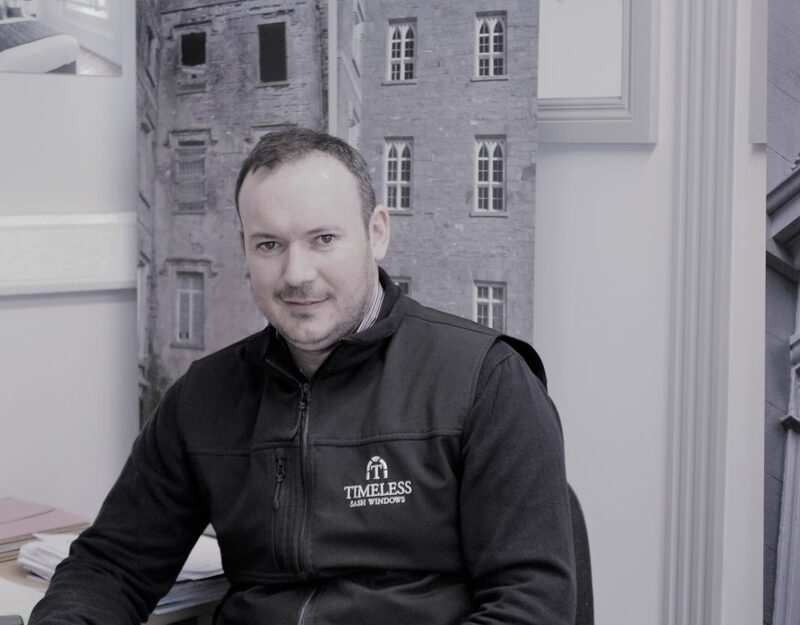 Stephen is the newest member to our team here at Timeless Sash Windows and is a fabulous asset to our project management department. When you choose your paint finish and ironmongery with the sales team, your project will then be managed in house by Karen, Conor and Stephen. Stephen works both in the office and on site to ensure that everything is running smoothly. He works largely with refurbishment projects but also has a hand on the new builds. He measures and surveys on site to give accurate information to Dom who does the drawings and the factory team who manufacture the products. Stephen does all of the liaison with clients to let them know the dates and times that work will be carried out. He monitors quality control of the on-site work whilst also having a major hand in all the health and safety aspects of the compnay. Once the job is complete, he will sign off when he is confident that the customers are delighted with their finished project. Stephen comes from a strong family background in carpentry. It is his family business – his father, his uncle, his cousins. He worked with his father growing up in Dunderry, Co. Meath and spent the holidays roofing, skirting, fitting doors and architraves. He went to school locally in Trim and followed with a BA from Maynooth University. 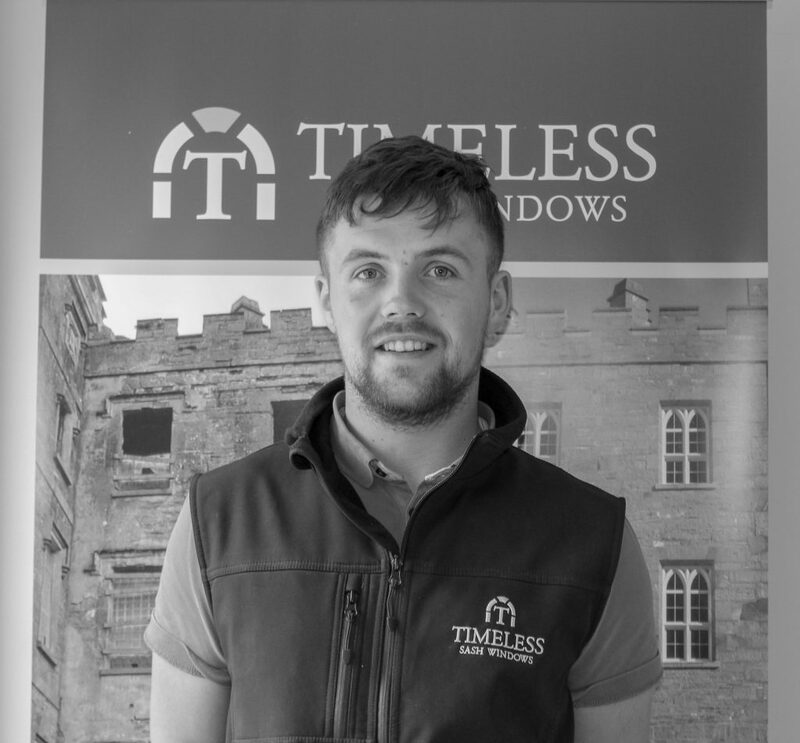 Before joining Timeless Sash Windows in the Summer 2018, he worked in the family business as well as some time at Knightsbrook Hotel in Trim. He enjoyed all of this work, but it was the unsociable hours in the hospitality business that interfered with his football and hurling passions, and led him back to carpentry. Indeed football is more than just a passion, he plays for Dunderry and the Meath Juniors. 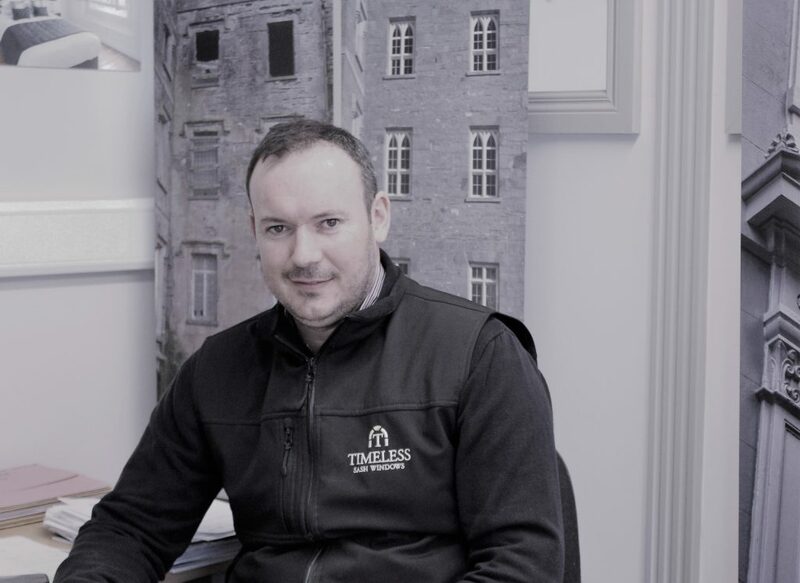 Joining the project management team at Timeless Sash Windows has been a big change and one that he is loving. “It’s something different every day” he says. His week is split between office hours and site visits, where his good experience on building sites gives him a real edge. We are extremely fortunate to have another skilled and dedicated team member who has a wealth of experience not only in joinery, but also in customer service. Thank you Caroline, it is great to hear.